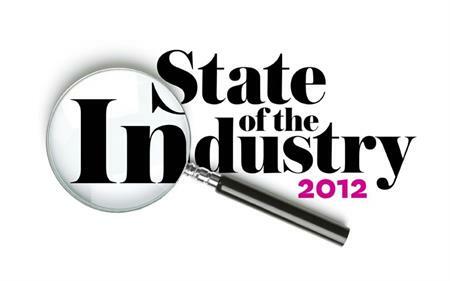 State of the Industry 2012: Reason to cheer in the year of celebration? C&IT's survey uncovers a mood of cautious optimism. The hat trick that is Euro 2012, the Jubilee and the all-important London Olympics was supposed to have us all rubbing our hands with glee as live events and their impact reached an all-time high. But will there be reason to cheer in this very special year of celebration? C&IT's annual State of the Industry report consulted more than 200 corporate and agency event planners and found an industry that is cautiously optimistic about 2012 but unsure of what beckons in 2013. While Framptons marketing coordinator Caroline Burgess is taking a cautious approach to 2012, as "budgets are decided on an ad hoc basis, but we don't expect them to change much this year overall", Ron Pike, customer communications manager at Goodyear Dunlop UK, is seeing a boost in activity for the year ahead. "We've got two new product offerings launching later this year, so that has been a major focus for our events team," he says. "Events have been busy for us this past year, and we are focusing more on B2B events over consumer ones as we aim to motivate and incentivise our staff and key clients and improve their knowledge of our products." Yet this positive endorsement of B2B events isn't recognised in some sectors, particularly the financial sector. Venues Event Management sales director Mark Fry says: "Clients budgets are under scrutiny. They are very mindful of spend and it is linked directly to perception." And Fry adds that talk of the boost from the Games may be something of a white elephant. "There is still a lot of uncertainty about the impact of the Olympics." Tina Morris, managing director of Adding Value, concurs: "We're not too involved with the Olympics this year, but have seen a decrease in incentive activity and an increase in conferencing and meetings. We are targeting the exhibition sector now, and expect that 20% of our turnover in 2013 will come from this." This type of diversification could prove essential for growth in 2013 if the air of unpredictability that is set to dominate the final quarter of this year, post-Olympics, persists. "2012 has been, and is looking to remain, an odd year. It's been hard to predict, as clients put off their usual events, but spend on new ones," says Dale Parmenter, managing director of DRP Group. Indeed, as Barclays Events UK Retail and Business Banking deputy head of events Emma Nielsen candidly reveals: "Our incentive events dropped off completely around the time of the recession and aren't looking likely to return. The outlook for 2013 is still uncertain for budgets and it's too soon to tell, but we don't expect to be back where we were pre-recession." Christmas Parties: Will 2010 bring seasonal cheer? Are green practices back on the agenda as the industry climbs out of recession? State of the Industry 2010: Is the industry shrinking?